The first book about clematis in Estonian was Adolf Vaigla's "Clematis" Tallinn 1982 "Valgus". The publication brought along tremendous growth of interest and the clematis quickly conquered the hearts of gardeners. 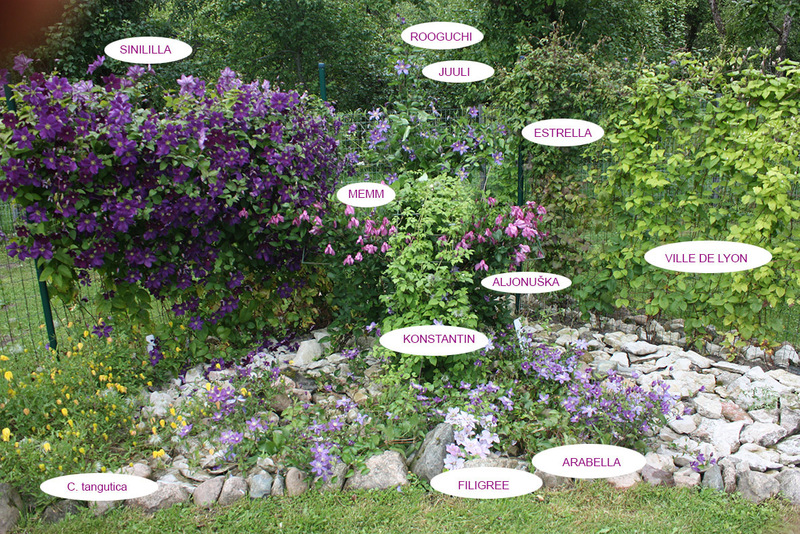 Thanks to the annual flower fairs held at Türi and other plant fairs, where a large assortment of clematis plants is available, clematis has spread all over Estonia, almost into every second garden. The genus Clematis belongs to the family of plants Ranunculaceae. 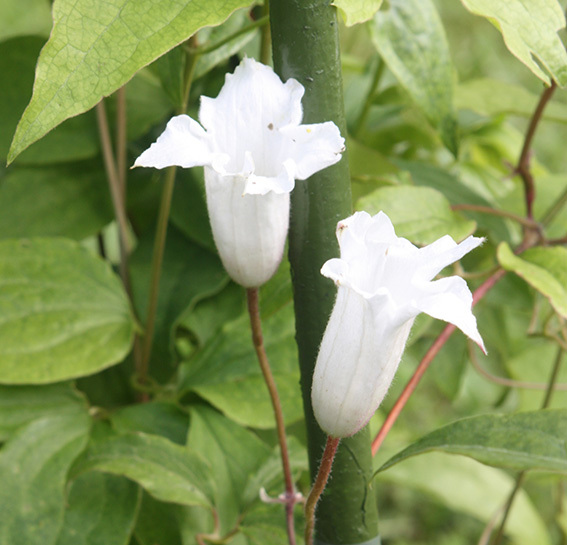 It is classed as a woody plant, as it stem becomes fibrous, there are also herbaceous clematis. Clematis plants are mostly climbing, some clamber. Clematis plants are mostly deciduous, but there are some evergreen exceptions. Clematis has one unusual feature - there are no petals and the sepals take on the characteristics of petals and are termed petals. 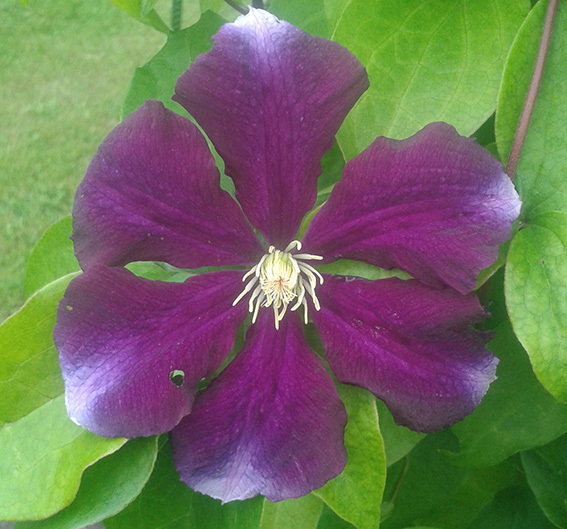 There are mostly 6 petals, some clematis with 4, 5, 8, single and double species and hybrids. 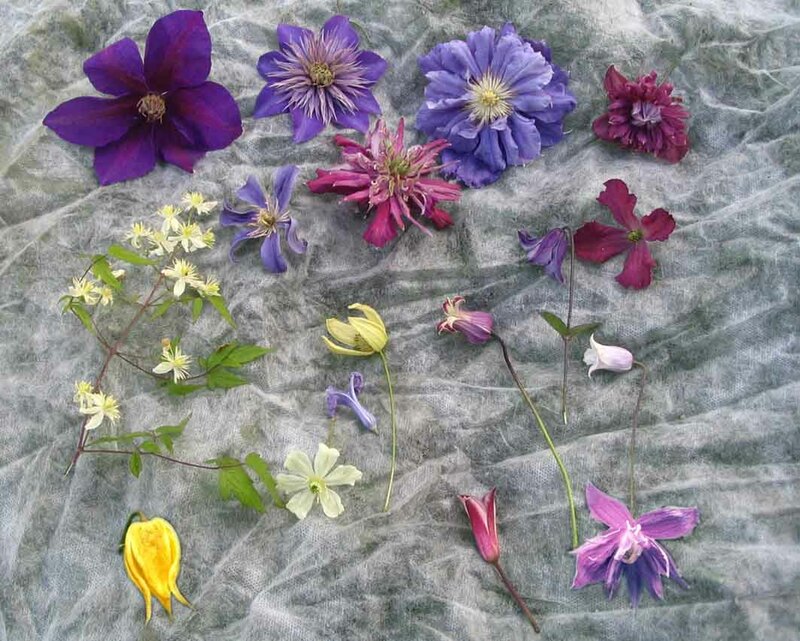 Clematis flower colour range from pure white to the darkest shades of violet. So far bright yellow and orange large-flowered clematis have not been created, but there are some yellow species. 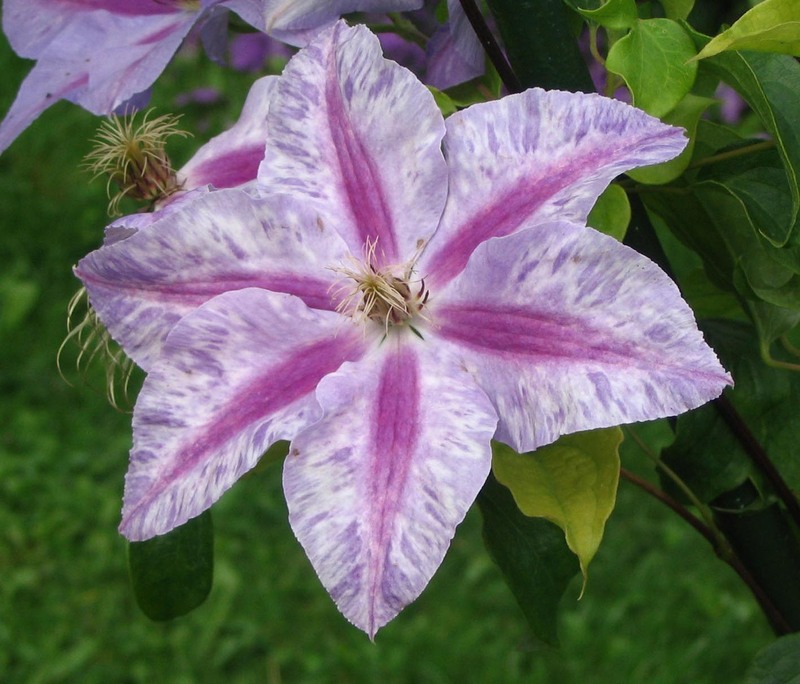 In large scale the clematis can be divided in two: large-flowered cultivars and wild species. The large-flowered cultivars are products of crossing different species, hybridizing or free pollination. So far only small gardens in Estonia have benefited from growing clematis. But the use of this beautiful and rewarding climbing plant should be widened to decorate towns, parks and squares. The right choice of clematis plants might give you a continuous rich blossom from the middle of May up to the beginning of November, and this in Estonia. Only night frosts from -5 °C to -7 °C finish blossoming. 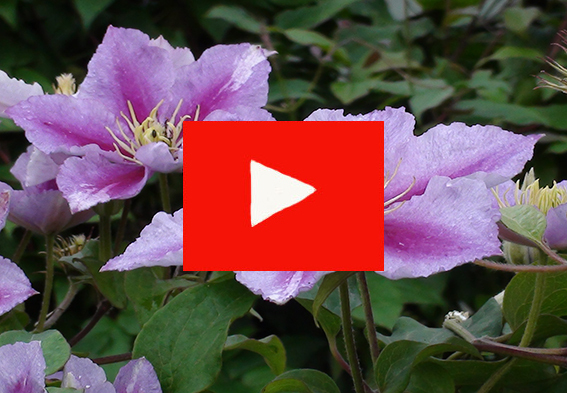 The best place in your garden for a clematis is a piece of land sheltered from dominating winds, slightly sloping south, south west, west or south east. The needs of species are more modest, so they can be grown at the borders of the garden. There they can effectively get support from the surrounding nature - branches of trees, bushes, dead or alive or old walls. 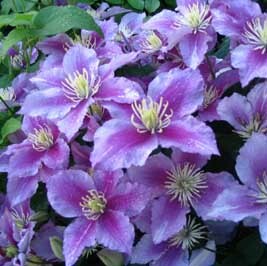 Large-flowered clematis grows best in an open, sunny place in the lawn, using strong metal or wood trellis for support. Many people are used to grow clematis on the wall. The blossoming starts here a week earlier, but is over sooner and the flowers tend to be smaller. 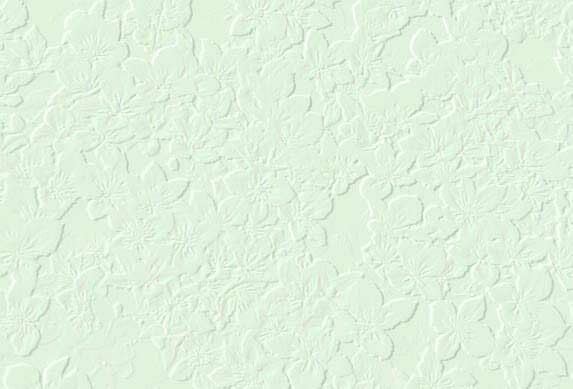 Walls reduce the amount of light and nutrient medium for the plant. But some richly blossoming clematis are growing and happily flowering also in half shade. Clematis is usually grown at the same place for a comparatively long time. Clematis plants that have grown at the same place for 20-30 years are not rare, and even for modest care have been thankfully flowering each year. When digging a hole, it should be big enough. At least 50-60 cm diameter and at least 50 cm deep. 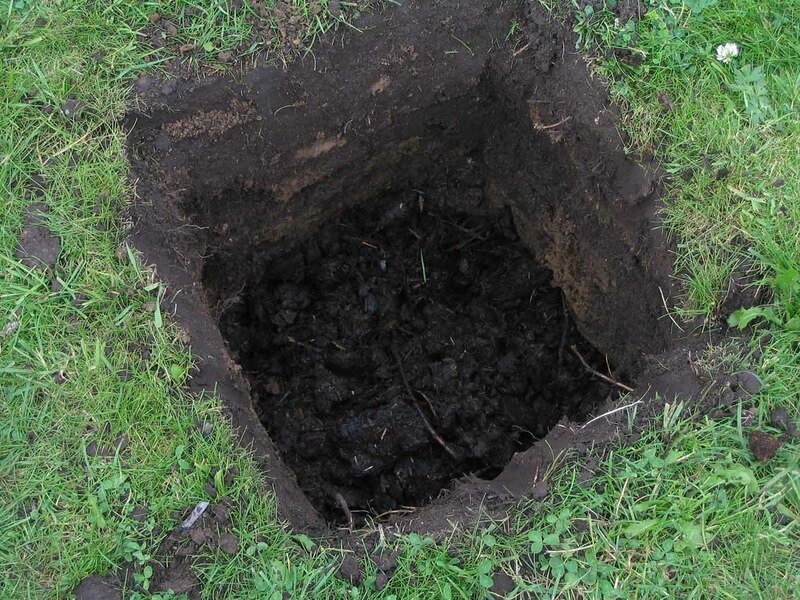 Add 1/3-1/2 rich compost or well rotted manure to the soil taken from the hole. It is best to cover the bottom of the hole with gravel for drainage. When plants are planted in a row, a ditch should be dug. 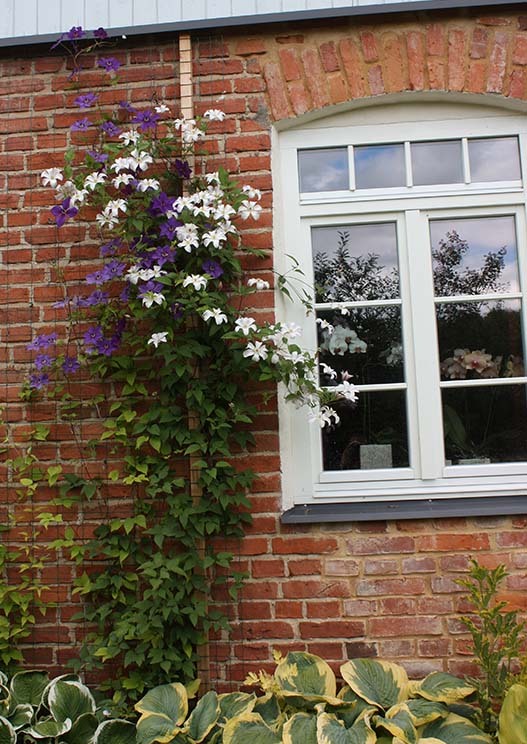 Clematis of the same variety should be planted at least 0,7-0,8 m apart. Advisable distance for different clematis varieties is at least 1 m. Spring is the best time to plant the clematis. 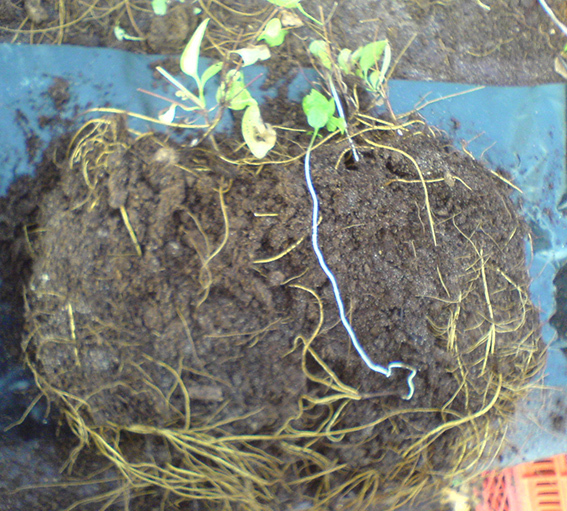 When plants are in polythene bags or pots, they can be successfully planted with the root ball throughout the summer. 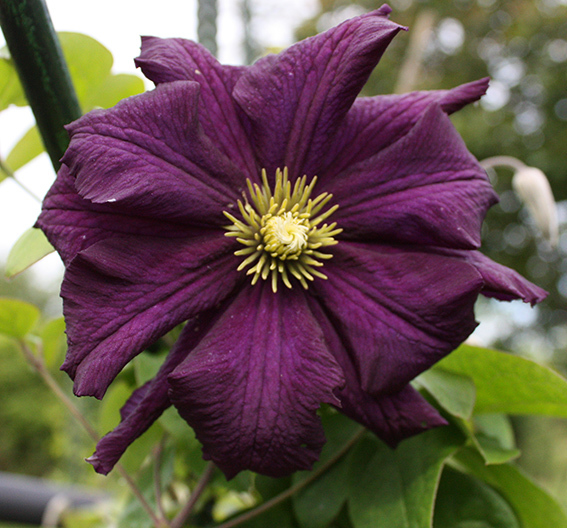 The clematis should be planted at a good depth, with 10 cm of soil covering its 1-2 buds. 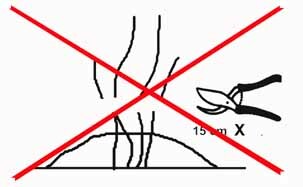 It is also important to follow that after the soil in the hole is sunk, the last layer on the plant should be 5-10 cm higher than the surrounding ground. In the first summer after planting no fertilizing is necessary, especially when the soil was prepared as required. 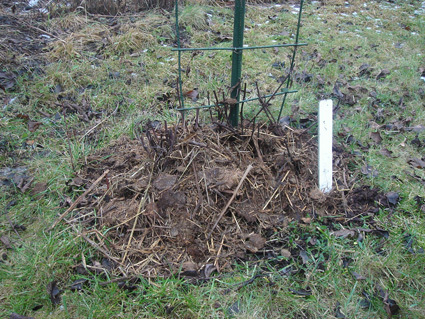 In a poor soil the clematis will form a stronger root system. In the following years when energy is spent most on vegetative mass, additional feeding should be given. It is advisable to give most of energy in the form of fertilizers 3-5 times in the summer. Complex fertilizers, mostly NPK + trace elements should be given in turns with manure and garden compost. 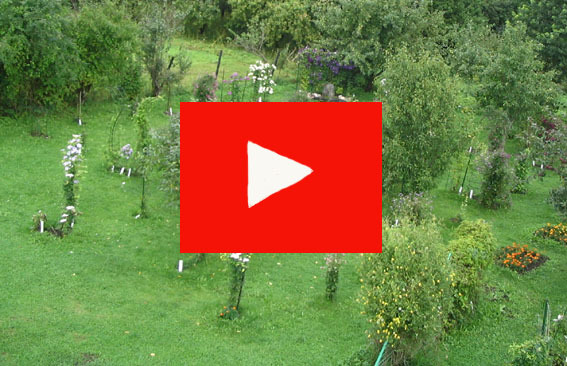 Plants can be watered with liquid manure solution (1:10) or chicken dung solution (1:15). 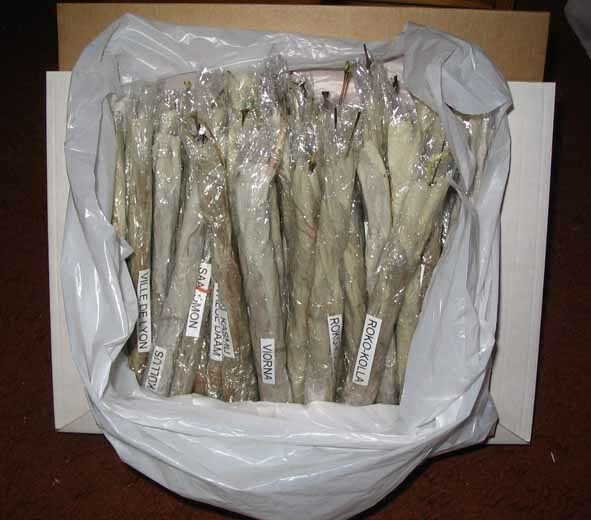 The soil around the stem of the clematis should be kept bare and free from weeds, and an adequate supply of water must be given to keep the soil damp. 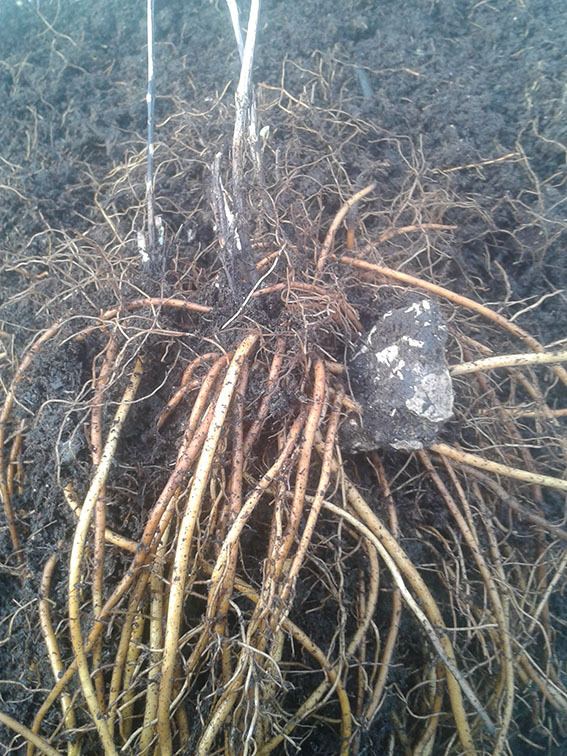 A mulch of garden compost, well rotted manure or peat is necessary to protect the fleshy roots from the sun. 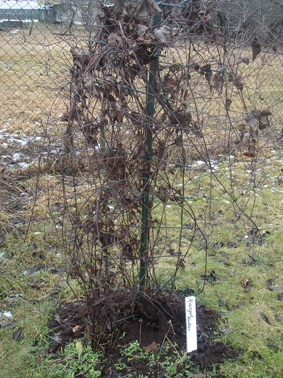 Being a clinging vine, all clematis require supports to cling to. Different types of supports may be made of wood or iron, different figures can be formed. 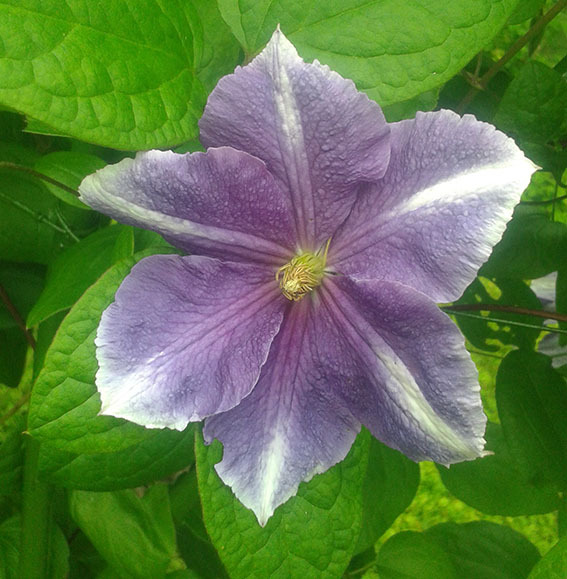 The clematis can cling to a string or a net, it can also be supported by trees, bushes or shrubs. Clematis without any support, scrambling about on me ground, a bright spot in the lawn, is a fascinating and surprising sight. The clematis species grown in Estonia are likely to be hardy and need no covering for winter. The clematis, flowering on the growths made the previous year, should not be pruned like C. alpina. The clematis flowering on the growth made the same year should be pruned hard as low as 5-8 cm in autumn in October, November. In spring there will be new shoots from the buds on the stem and a rich display of blooms in July. 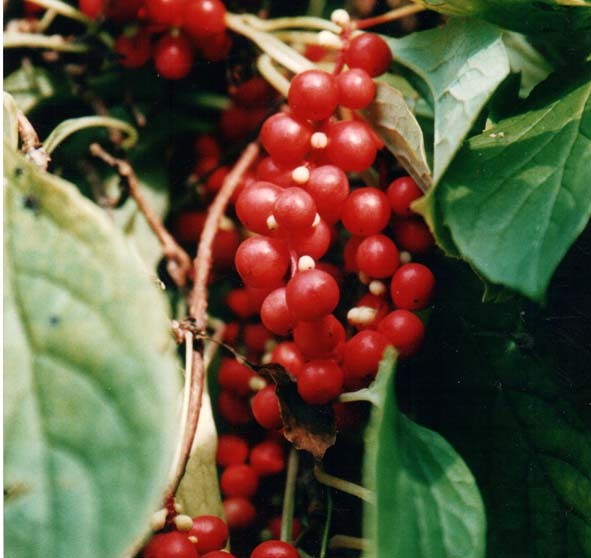 The seeds will ripen in September or October. All large-flowered hybrids need covering for winter. We make preparations for winter usually in October. 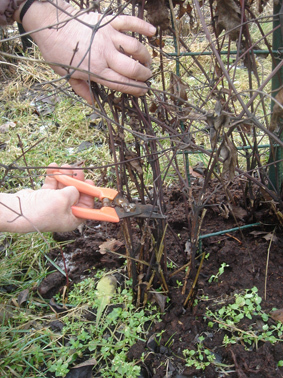 We cut down the clematis growths above a pair of buds 5-15 cm from the ground and clean the supports from old leaves. The middle of the bush is covered with soil or peat layer of 5-15 cm. On top of it we put a water proof material to avoid excessive moisture. 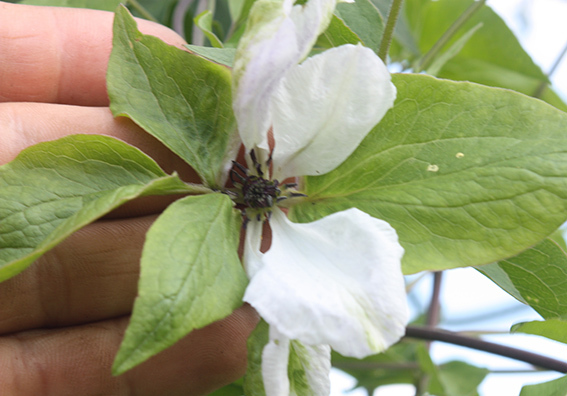 Here are pictures of Clematises that have suprised us. In 2016 there were mutations among the Clematises in our garden. Clematis „Victoria“ flower had white stripes and edges. Clematis „Gunta“ flower had white tips. Also Clematis „Huvi“ had white tips. Clematis „Põhjanael“ was even more variegated. On rare occation some flowers may display themselves as double flower. Here is picture of Clematis „Romantika“ with double flower. Clematis „Alba Luxurians“ has sometimes flowers where the petals have been replaced with leaves. It may happen that the petals do not split correctly and form a bellflower. Here is picture of Clematis „Dora“ that usually has open flower. Roots of Clematises are strong enought to grow through a piece of asphalt. 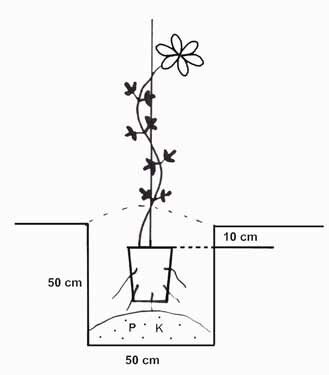 Even a small plant’s grem can grow more than 20 cm to reach the surface. 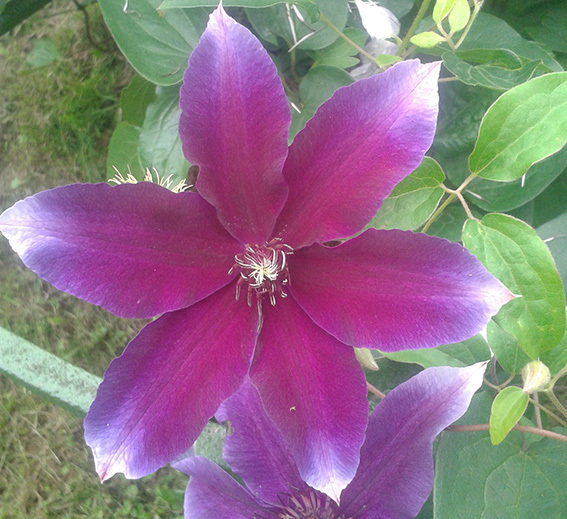 Hybridization of the clematis has been popular in England, France, Poland, Sweden and in the previous USSR. 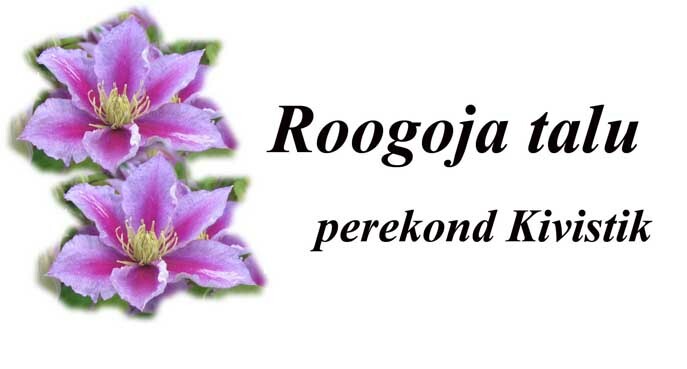 In Estonia, at Harju county in Roogoja nursery we have been hybridizing the clematis since 1979. 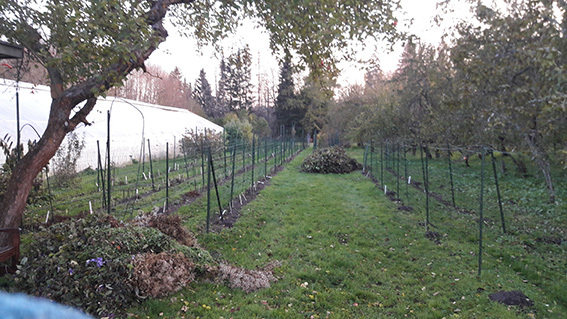 As in our climate the seeds never ripen, we have to use greenhouses. 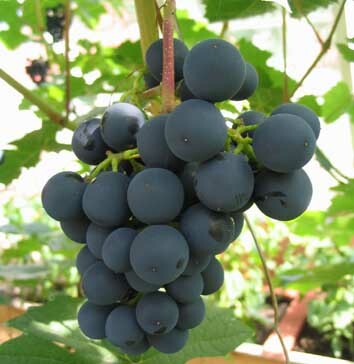 We have grown over 6000 hybrids and chosen out of them more than 150 as perspective candidates for new varieties. 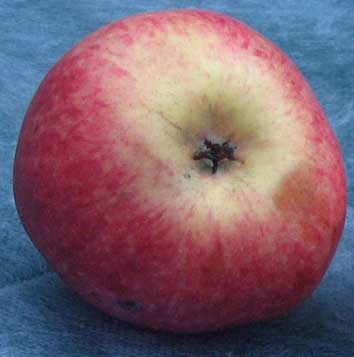 Every new variety should have its singularity and be superior to its parent plant. Almost hybrids breeded in Roogoja Farm are large flowered clematis hybrids. Our aim was to get winter hard and rich flowering on the same years wood hybrids.